We feel immensely pleased to offer an exclusive gamut of 3/2 Way Pneumatic Cylinder Operated Control Valve. Our offered valve is manufactured by utilizing optimum quality raw material that is obtained from certified and authentic vendors of the industry. The valve offered by us extensively acknowledged in the market for its high pressure bearing capability and elevated durability. 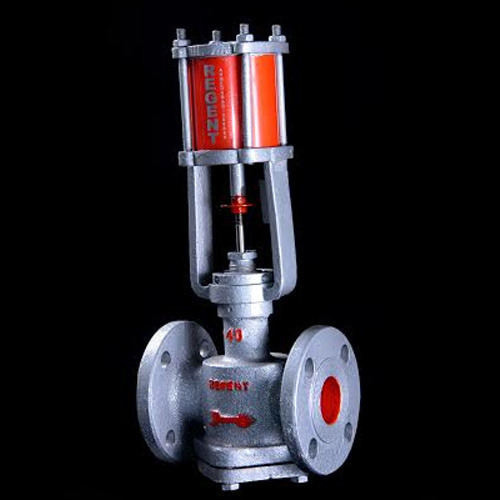 Keeping in mind the budgetary requirements of our prestigious clients, we provide this valve at rock bottom price. 3/2 way Pneumatic Cylinder operated Control Valve for Low Temperature.